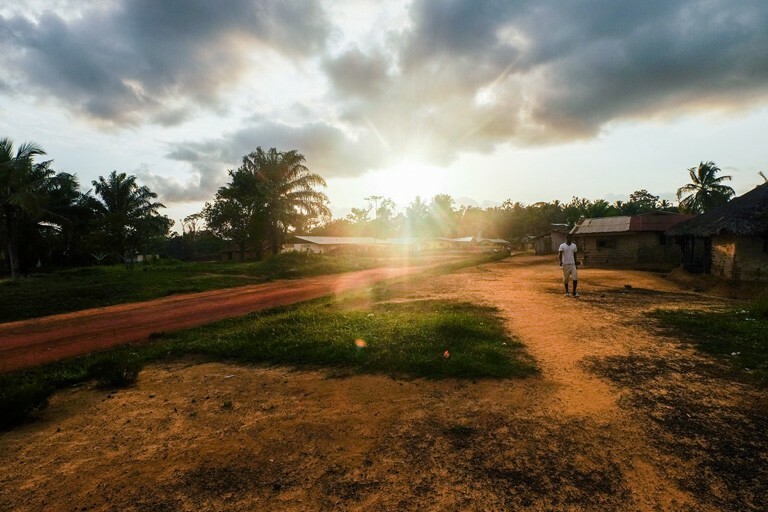 It’s late March and the latest news about the future of communities’ traditional lands has yet to reach the towns and villages in southeastern Liberia. On February 13, the Roundtable on Sustainable Palm Oil, the industry certification system for production of conflict-free palm oil, confirmed what many in rural Sinoe County have been saying all along: Golden Veroleum Liberia (GVL), a palm oil company operating since 2010, did not properly receive the consent of local communities to acquire their traditional lands. 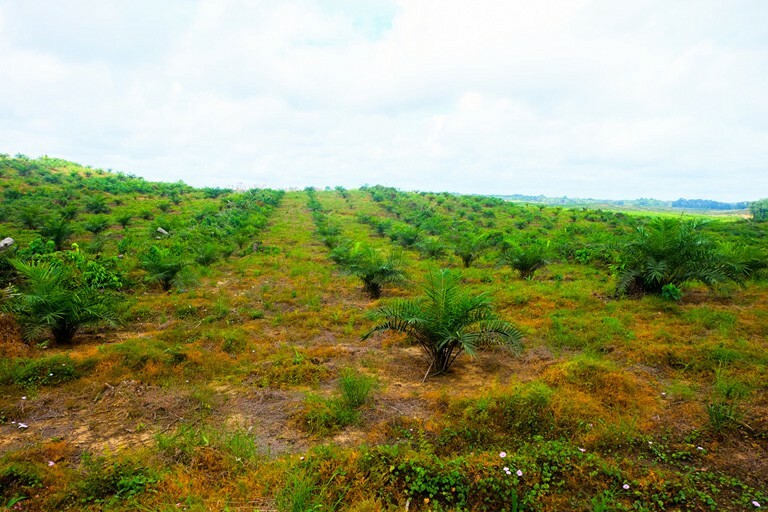 A letter issued to GVL by the RSPO Complaints Panel says that the company coerced and intimidated community members into signing agreements ceding their lands, did not conduct adequate participatory mapping, destroyed communities’ sacred sites, and continues to develop disputed lands, all in violation of RSPO Principles and Criteria. The charges against GVL and its parent company, Golden Agri-Resources, are not new. The first complaint filed against GVL with the RSPO came in 2012. Over the years, multiple civil society reports have documented GVL’s land grabbing, human rights violations, and environmental degradation. In 2015, a riot erupted on GVL’s plantation. Six years and various investigations by the RSPO later, the situation for these communities is largely the same. 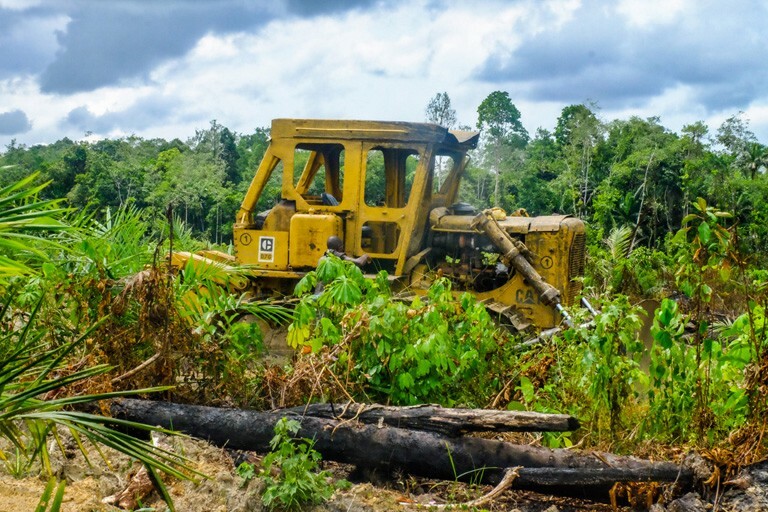 A bulldozer lies in Golden Veroleum’s palm oil plantation. Photo by Gaurav Madan. Across Sinoe County, many villagers have long decried the impacts of GVL on their lives. They claim that despite the company’s promises, GVL has destroyed their sacred sites, polluted their drinking water, and curtailed their access to their forests and livelihoods. Among the recommendations in the February 13 Complaints Panel letter, the RSPO directed GVL to meet with specific communities to review and revise the terms of their agreement within one month. In late March, six weeks after the letter was issued, I visited plantation-affected communities in Sinoe County. Virtually every single community in Sinoe named in the decision was unaware of the news, let alone of the timelines put forward to address the issues. No one had bothered to inform the people directly impacted by the company’s operations of the proposed steps forward. Rows of palm in the Nimupoh section of Golden Veroleum’s plantation. GVL signed a 65-year concession agreement with the Government of Liberia for 350,000 hectares of land. Photo by Gaurav Madan. It is striking that given the resources and responsibilities of both the company and the certification body, that neither GVL nor the RSPO had chosen to communicate with these communities. This begs the question: What is the value of corporate commitments and industry standards if those messages never reach the people they intend to benefit, let alone are translated into tangible actions? But it’s not just rural Liberian communities that are taking notice of the RSPO’s weaknesses in upholding its own standards. On March 12, less than a month after the RSPO Complaints Panel decision on GVL, 101 institutional investorsrepresenting over $3.2 trillion in assets wrote a letter to the RSPO calling on the body to be more transparent and responsive in addressing complaints. The investor letter specifically expresses concerns that the RSPO’s current process puts the institution’s credibility at stake. On a regular basis, they beat people and incarcerate people without reason. These are the barriers we are facing. Globally, the story has been the same. 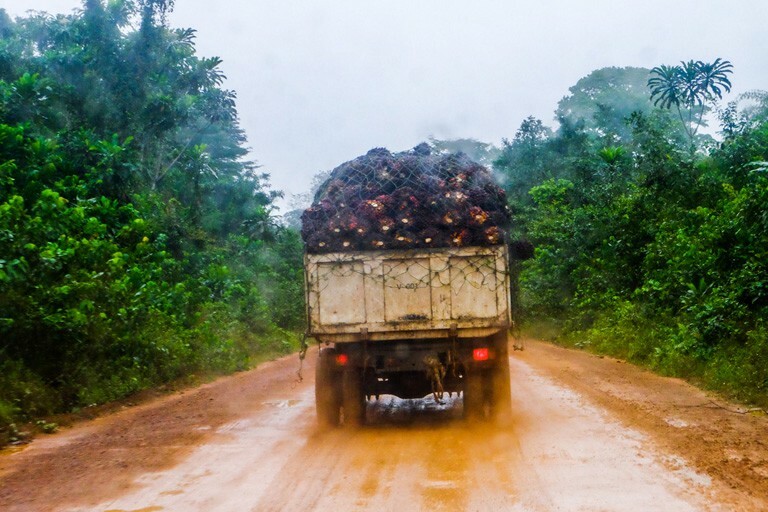 From Guatemala, where palm oil company REPSA was recently linked to corruption and appears to have been involved in the killing of an indigenous leader, to Indonesia, where palm oil companies’ burning of peatlands has caused fires responsible for thousands of respiratory illnesses and millions of tons of carbon released into the atmosphere, the industry has been mired in controversy. If investors are relying on industry certification standards like the RSPO to ensure they meet their own sustainability commitments, they may want to think again. If they don’t, they are susceptible to significant risks to their investment. Deforestation, along with violations of human rights, including land rights, are increasingly being recognized as posing material financial and reputational risks to investors. Furthermore, escalating land conflicts linked with palm oil operations pose significant risks to stability, which may cause operational delays leading to stranded assets. At the same time as investors are requesting greater accountability, civil society across Liberia is demanding the Liberian Legislature pass a 2014 draft of the Land Rights Act. The Act would secure communities’ rights to own, manage, and protect their customary lands, providing them with legal recognition when approached by companies and investors. Back in Sinoe County, frustrations are only growing. In the Nimupoh community, villagers shared stories of the day GVL came to sign a memorandum of understanding with them. The company was accompanied by pickup trucks of armed police. Yet many members say they still want investment on their traditional lands, as long as it is done fairly. Others are more skeptical. Once informed of the recent RSPO decision, communities welcomed the recommended steps to address their grievances. But they’re not holding their breath. Too much damage has been done over the past decade — and too few promises have been kept. Sunset in the town of Jacksonville, Sinoe County, Liberia. Many residents of Jacksonville claim that GVL desecrated their sacred sites and did not properly seek their consent to operate on their traditional lands. Photo by Gaurav Madan.